This is the 2nd book of Gene Wolfe that I’ve read, the sequel to The Knight. 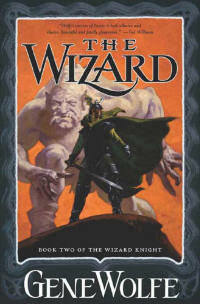 The writing style is different than many fantasy books that I’ve ready lately. This time around, I’m thinking of his books as impressionistic paintings, where broad strokes encourage allusion, where one must imply what is being portrayed by the more subtle ideas painted. Wolfe doesn’t hold your hand, thus the elements of adventure and mystery are more palpable during the read. The book was good, but the storyline conclusion to the series was just ok.